I have a new customer who will be bringing me Quilter's Dream cotton batting. I haven't used it yet. Anything I should know? Pitfalls? It can be stretchy!!! SOme of my friend don't like it but have different machines. I also have a few that love it!!!! I've used it several times and only problem and it still wasn't bad was that it can stretch! 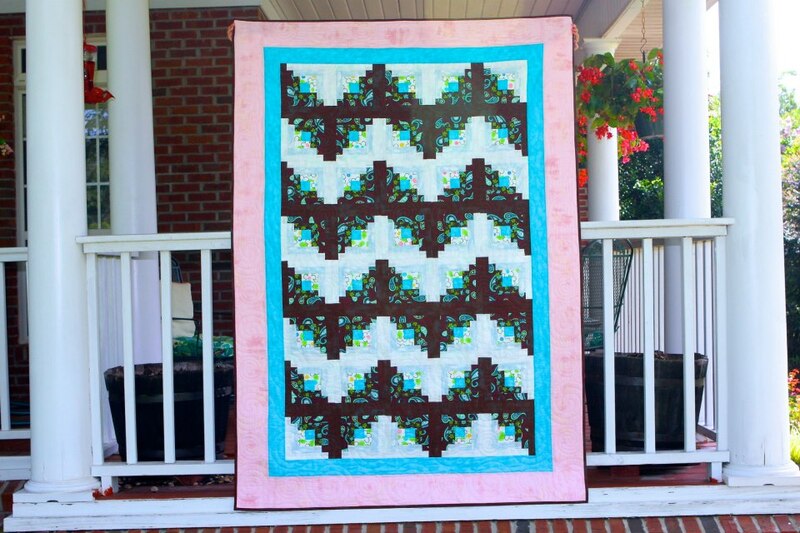 There are three different Quilters Dream Cotton. Request (3oz), Select(4oz) and Deluxe (6oz). I love the Deluxe and use it on a lot of my own quilts. The Request is very thin and stretchy, I would not use that one on a longarm, I think it is more for hand quilting. The Select is better but still thin and I have used it on my longarm but you need to be careful and not pull on it. The Deluxe is quite strong and has a great loft. So I guess it just depends on which Dream cotton batting your customer brings you. I have used the Select loft twice. It is much lighter and thinner than W&N and I'm not as happy with the Select loft as I feel (on my machine anyway) that the stitch doesn't form as nicely as I like it to (because it's so thin??). Someone locally uses it and their stitches look fine with it, so it must be my machine. I didn't notice that I had to be careful with it but the two times I used it was on smaller quilts which didn't require a lot of handling of the batting. Kathy, I'm glad you mention that you use the Deluxe loft. I will have to give that one a try some day. The Select loft had a nice drape and felt softer to me than W&N -- which I liked. I would like to feel the drape of the Deluxe. I use Dream products all the time. It is usually the select weight. I don't have any problems with it at all. I am happy with the definition of the pattern. Ditto Debbie above. I love it and use it almost exclusively -- the Select and Deluxe weight. I have even used the the thinner Request weight on quilts with flannel on top and bottom with no problem. Thanks for all your help. I love Dream products too. I've just never used the cotton. I'll find out on Monday what loft she ordered. You ladies are the best! I found when i dropped my hopping foot height that the dream cotton formed great stitches. What did you drop your hopping foot height to? I like the Deluxe for wall hangings but find it a little stiff for quilts. I was thinking about ordering a roll of Select but now I'm not so sure. Dream Orient is my favorite. I just tried the Dream Angel for a baby quilt and was very pleased. The select loft is fine for utility quilts or warmer weather bed quilts. I use the deluxe more often because it shows of the quilting definition better. Janette, at the time I wondered if that might have helped. My machine is a Nolting and it doesn't come with instructions like the APQS machines do so I'm not sure if I can lower the foot. I'm going to call and check tomorrow. Thanks for bringing that up as I had forgotten my initial thoughts about the foot height. I order directly from QuiltersDreamBatting.com. No minimum orders and pleasant folks to talk to. This looks like an old post, but I'll chime in and tell the world that I love Quilter's Dream products. They are having a special during the Houston market...free shipping on the first roll or box, and $5 off the next. Time to stock up! And they are collecting pictures and stories about those of us who use their products and will soon publish them...check out their Facebook page. My favorite is their Select White Cotton...it melts around you immediately when you take a quilt off the rollers. I rarely use cotton battings - so not much help but I would personally stick with the Deluxe weight. As to the hopping foot - I don't often change the height of my foot but occasionally I need to. I am presently making placemats using Soft & Stable (the neoprene type stuff you can get from Superior) and I definitely had to raise my foot. Loosened the foot, place the batting under the foot, then set the foot where it made a slight dent/depression in the batting when at the lowest level - not sure if this was the correct way, but my stitches are good. I will reset to 2 - 3 business cards when done - this works for me since I use a lot of wool, puff and other slightly more lofted battings. Ditto Debbie above. I love it and use it almost exclusively -- the Select and Deluxe weight. I have even used the the thinner Request weight on quilts with flannel on top and bottom with no problem. It is a batting which has no scrim, right?